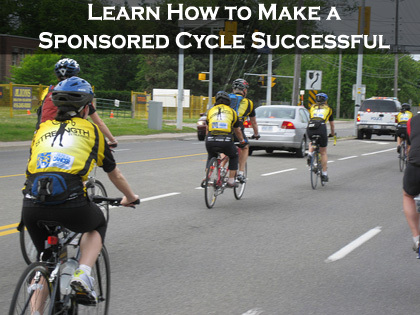 A sponsored cycle is a DIY Fundraising Idea that holds massive potential. Do it as a group or as an individual, but make sure you follow the guidelines on this page to be super profitable. It is also a fundraiser that I used to raise funds for film school. And it served me really well! A mate, Nick Williams, and I cycled 300 miles from his farm in Buckinghamshire to Falmouth in Cornwall. And we did in 26 hours!!! It was such an accomplishment for us both and it also happened to be my most successful fundraiser for my film school campaign. Which is something you won't have to worry about, as you have many Crowdfunding website options available now days to make your fundraising easy! You won't have to ride 300 miles in 26 hours to run a successful DIY fundraising cycle. But you will need to make it a decent challenge for yourself to impress people enough to sponsor you. I believe that the more WOW factor you have, the more willing people will be to sponsor you. The first most obvious thing to realize is that all of your funds will come from donations and sponsorships. 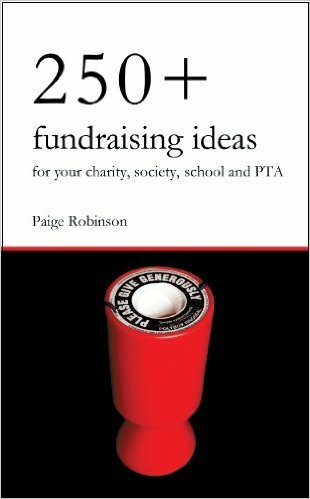 Whether it's from individuals or companies, that is how you are going to raise your money. So from the beginning of your organizing you need to be thinking of how and through whom you will acquire donations (click to jump down the donations section). Your first decision and planning will be on where you are going to ride to. Will it be a one day cycle down your local coastline or will it be a week long cross country trip from one major city to the next? You could also just enter into a cycling competition/race and use that as your fundraising challenge. My mate, Nick, and a few of his friends did just that in a cycling race in the UK and raised £2000 for Meningitis research. Especially if it's a big challenge, which means that the planning and preparation for it is very important! Please Note: I would highly suggest that you do your DIY Fundraising cycle with someone else and that you have a 'second' following by car! It will be so much safer that way! Consult a local cycling store to make sure you have all the right equipment to accomplish your cycle. Consider what the weather will be like to, you don't want to freeze! You will also need to train beforehand and be completely fit. Once again get advice from your local cycling store or chat to a competitive/professional cyclist about training. For example: Looking back without weaving; or braking sharply. Make sure you are fully able to ride. The last thing you want is to have an accident! Food & Drink – Make sure you have enough quality food and drink for your entire cycle. Foods with high carbohydrates and energy like pastas and potatoes will be good to eat beforehand, and for your 'second' to bring along. Take energy bars and energy drinks too... Just make sure you've been using them during your training, or else they could unsettle your stomach. First Aid Kit – Take a first aid kit in case of falls, or injuries like cramp, etc.! 10 miles into my sponsored cycle my seat collapsed and we realized that we didn't have the right sized Allen key to lift it up again. I had to cycle 10 miles with my knees around my head before we found a service station with the right Allen key. It wasn't fun at all. Don't let it happen to you! 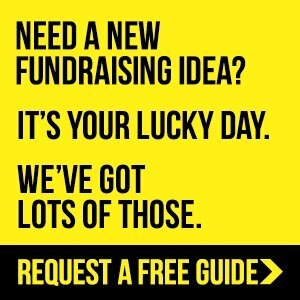 Luckily the fundraising side of a DIY Fundraising Cycle is far simpler and more effective to setup now then it was when I did my ride. 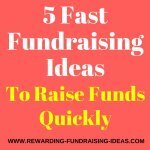 All you have to do, is setup a FREE online fundraising page on a Crowdfunding website that is designed for you to get the best results from your fundraising drive. 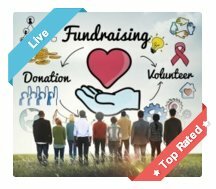 I personally recommend that you use this excellent Crowdfunding Site to setup your FREE online donation page. For offline donations give people a place they can drop off checks and cash. Donations boxes at local pubs, restaurants and shops will also work but you will obviously need permission. One of the best way to get offline donations - and a great way to advertise - is to use donation sheets. Give them to friends and family, who can then request and receive donations from their own friends and family. And obviously use the sheets yourself! The sheets should take down the donor's name, contact details, and amount donated. Another excellent option is to use Donation Scratchcards. It's a brilliant way to of getting people to donate to you, whilst rewarding them at the same time. Click the link to find out more. You will start your advertising by word of mouth. Give information on how people can donate to you both online and offline. Also make sure that donation sheets go out with and when the word of mouth starts. Promote on all your Social Media accounts. Facebook, Twitter, Pinterest, Google +, etc. Consider starting a Facebook Page or Group, which you can then use to update supporters on your cycle. Email friends, family, and your entire email list. (Forwardable) Mobile text messages to contacts. A message that asks for donations that friends can forward on. Press Releases and local media: Newspapers, Radio Stations, etc. Poster and Flyers. Post on local news boards. 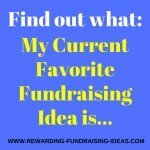 For more ideas on promoting your DIY Fundraising Cycle read here. You could also consider to sell Supporter Apparel to people who want to support your cause. For example T-Shirts, Scarves, Beanies, etc. You could also use this as a way of raising more awareness, as your Apparel will broadcast your cause! 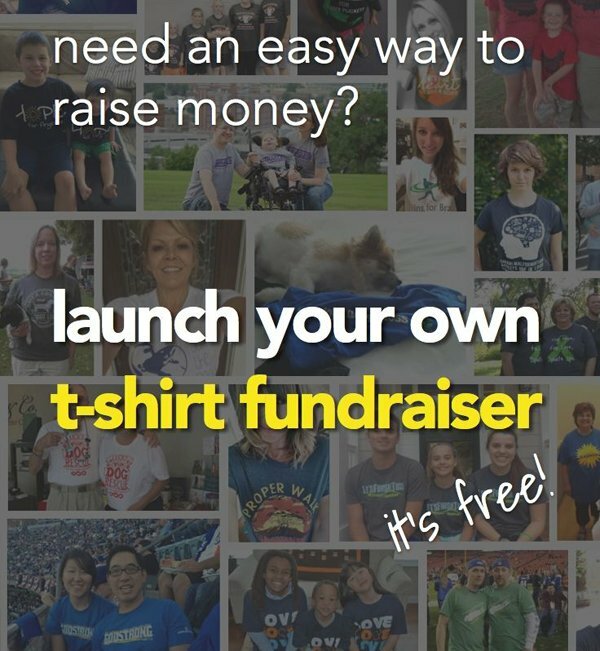 The best way to do it would be through a free Online Apparel Fundraising store. Click the link to learn how to do this! This way you'll be able to sell your Supporter Apparel online, and offline directly to people. Definitely check it out! Lastly, make sure that you thank everyone who helped, advised, collected donations and donated to you. Your thanks will mean a lot and will encourage them to help you out again next time you want to fundraise! I would also suggest that you update everyone with exactly how well your fundraiser went. If you were doing the DIY fundraising cycle for personal reasons you should also keep supporters updated with the progress of those personal reasons! 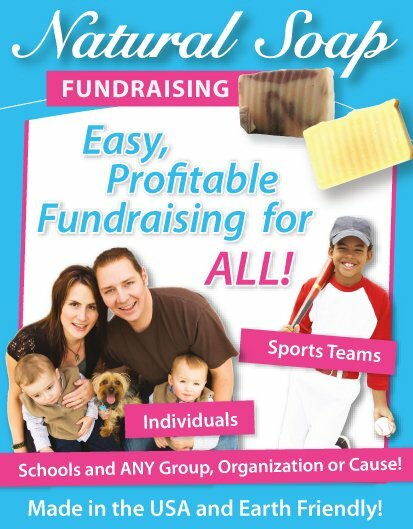 This Do It Yourself fundraising idea will be fun but tough. 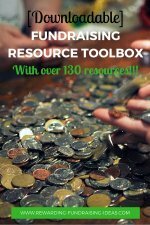 I wish you all the best of luck with your DIY Fundraising cycle!!! 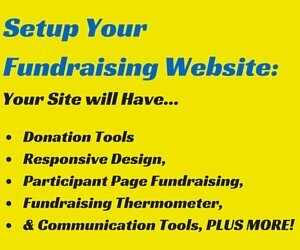 Then start by setting up your online fundraising page, so that you are ready to receive donations.